In recent years, the stroke research of our group focused on multicenter trials for acute treatment and prevention. Regarding acute treatment, we participated in the SWIFT PRIME trial, a randomized, controlled, multicenter study comparing stent-retriever thrombectomy with intravenous tissue plasminogen activator (IV tPA) with IV tPA alone in acute ischemic stroke. We included 11 out of 196 patients and received a certificate for best clinical outcome as a participating center. In cooperation with the Department of Neuroradiology (M. Bendszus), several monocentric projects regarding endovascular stroke treatment (EST) were performed. The influence of thrombus-lengths and localization was examined in patients not qualifying for randomized trials (e.g. wake-up patients, advanced age, basilar occlusion). Overall, we could also demonstrate that in those patients EST was safe and effective. The group successfully collaborates with the European TriSP (Thrombolysis in Stroke Patients) Group, in which several local databases for systemic and endovascular stroke therapy are combined and analyzed to answer clinically relevant questions for the treatment of stroke patients with rtPA. Analysis of patients with pre-existing disabilities clearly demonstrated that those patients also benefit from iv-rtPA. In addition, the risk of iv-rtPA is not severely increased in patients with renal insufficiency. The SPACE-2 study - a German study comparing conservative therapy regimens with surgery and stenting (Reiff Int J Stroke 2014) - failed to randomize the planned 3.600 patients with asymptomatic carotid stenosis. Economic considerations might have played a role (Hacke Deutsches Ärzteblatt 2015). Heidelberg included a substantial cohort of 100 patients. The follow-up analysis of the almost 600 patients enrolled is supported by the German Research Foundation (DFG) for up to 5 years. In cooperation with the Carotid Stenting Trialists Collaboration (CSTC), we demonstrated that age is highly predictive for the peri-procedural (30 days) risk of carotid stenting (CAS), but not for CEA, but risk was not age-dependent in the post-procedural phase (Howard Lancet 2016). Another study showed that experience is of special importance for CAS. Only in centers performing at least 6 procedures per year the peri-procedural risk was acceptable (Calvet Stroke 2014). In a single-center study, we analyzed the impact of a statin therapy on the risk of stent-protected carotid angioplasty. 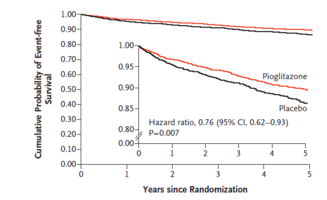 We demonstrated that - which is already well known from CEA - statin pretreatment reduces peri-procedural risk (Reiff Eur J Vasc Endovasc Surg 2014). The IRIS study (National Principle Investigator: Peter Ringleb) was successfully completed demonstrating the superiority of pioglitazone compared with placebo in patients after stroke (Kernan N Engl J Med 2016). Currently, we participate in multicenter trials for anticoagulation in ESUS- patients, dual antiplatelet therapy in the early phase after TIA and minor stroke and the role of the extended long-term ECG examination for prevention of recurrent stroke. In the future, we will focus on implementation of international multi-center studies in vascular neurology.